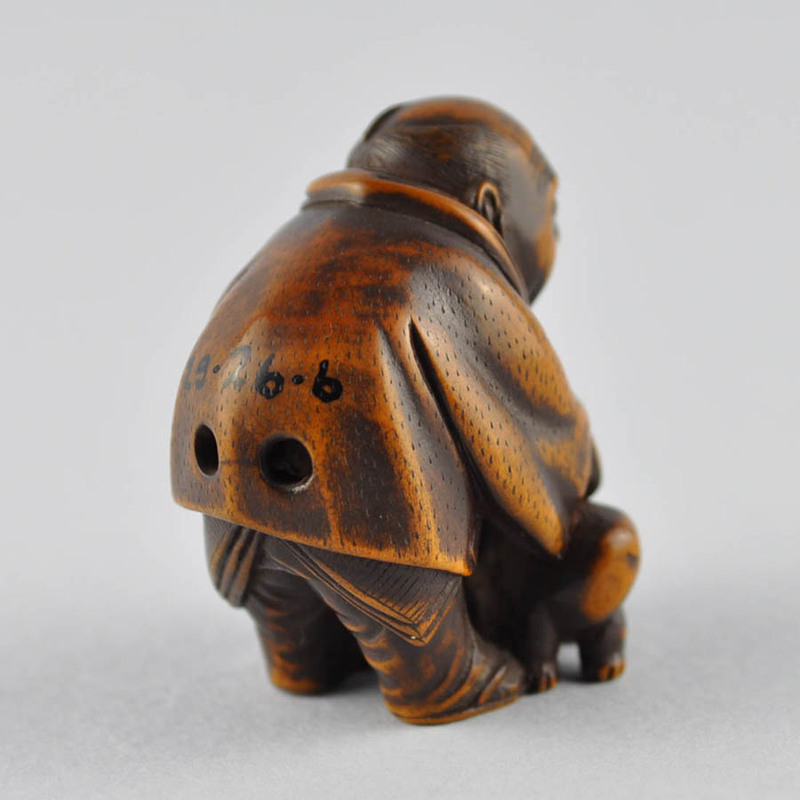 probably stolen by the small dog at his feet. 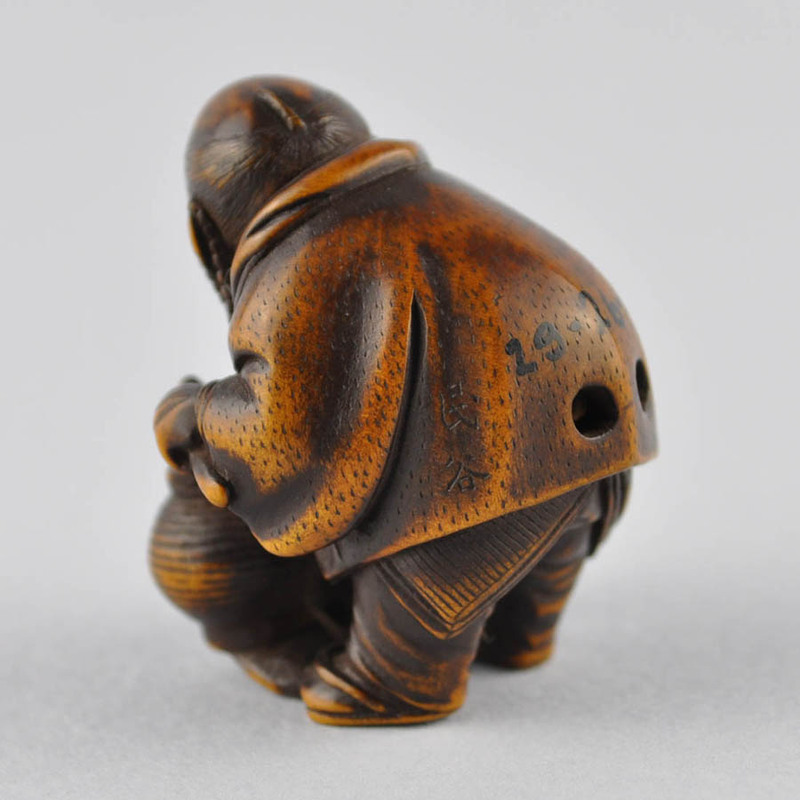 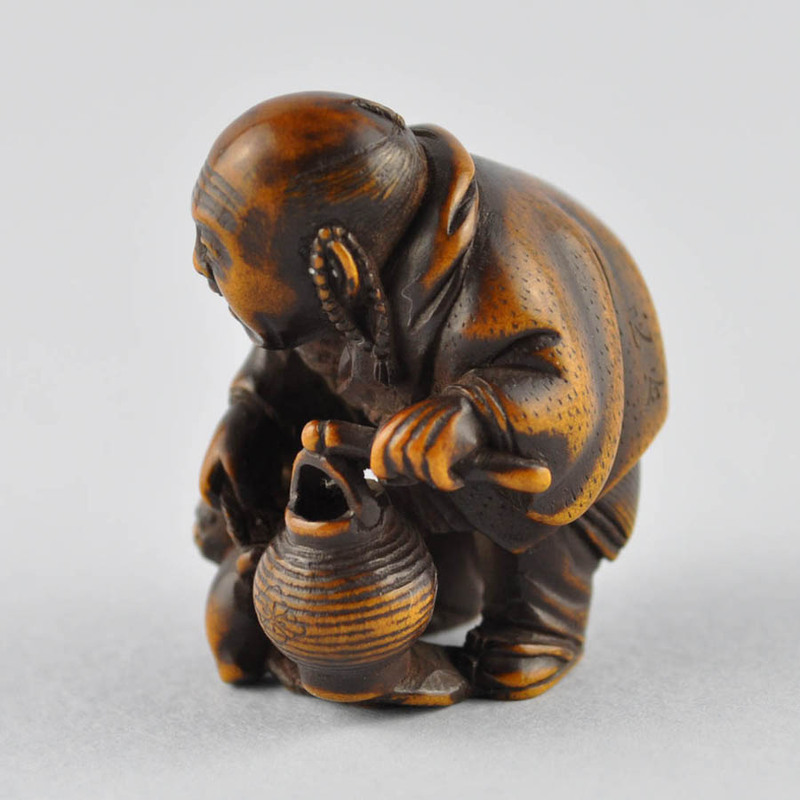 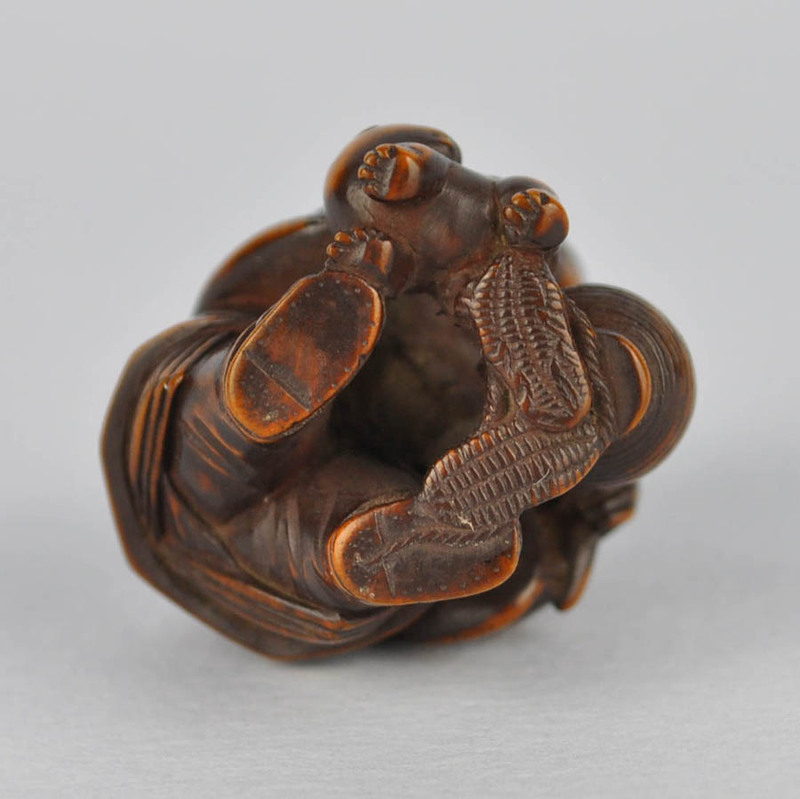 A very fine detailed netsuke of dark stained wood. 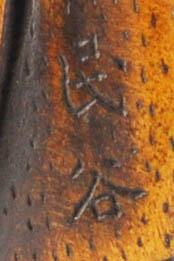 Bearing an ink number on the back from an old European collection.